There are 28 product(s) on this page. 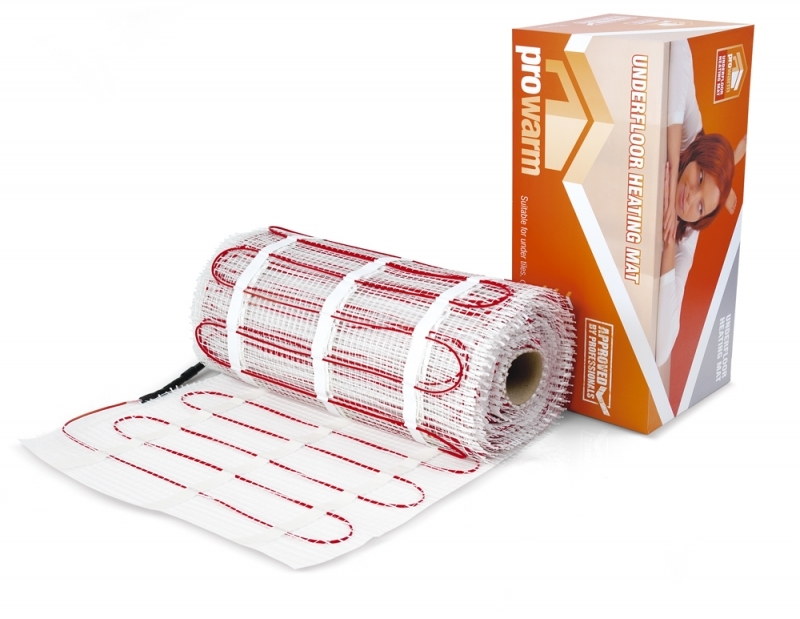 The ProWarm™ underfloor heating mats are quick and easy to install, whatever shape room you have. Made from super-thin fiberglass mesh, the mats are available in a range of sizes to suit your installation and come in 100w, 150w or 200w per m² outputs. Mats above 12m Sq will be sold as two separate mats for example the 13m Sq mat will comprise of one 7m Sq mat and one 6m Sq mat. Each mat features ultra-thin 3mm heating cables, which have been pre-spaced to maximise the output of your heating installation. 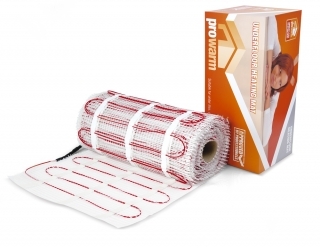 To reduce heat loss and to improve the efficiency of the system, they should be used with the ProWarm™ Thermal Tilebacker Boards. Our mats are designed to be simple to install and can cover up to 90% of the floor that you need to heat. The mats can be trimmed to fit awkward spaces and the cable can be removed from any excess material. As such, large spaces can be laid in a fraction of the time that it would take to use a loose cable system and, being thinner than many other mats available, this does not normally add any extra height to your floor. The mats can be used under a variety of floor finishes, from tile, stone and wood to carpet and vinyl. The 200w/m² mats are particularly suited for tile and stone floors, as they warm up more rapidly to provide a primary heat source in areas such as kitchens, bathrooms and conservatories. As with any underfloor heating system, it is important to ensure that the floor over which you are installing your mats is well prepared and made ready for the system you are using. With tile and stone finishes, the floor must be skimmed with a tile adhesive over your wooden base. If you are installing heating mats beneath carpets, vinyl or wooden floors, you will need to use suitable self-levelling compound.